1.) Lee HK, Finniss S, Cazacu S, Bucris E, Ziv-Av A, Xiang C, Bobbitt K, Rempel SA, Hasselbach L, Mikkelsen T, Slavin S, Brodie C. (2013) "Mesenchymal stem cells deliver synthetic microRNA mimics to glioma cells and glioma stem cells and inhibit their cell migration and self-renewal."?Oncotarget. 4: 346-61. 2.) Lu L, Song HF, Zhang WG, Liu XQ, Zhu Q, Cheng XL, Yang GJ, Li A, Xiao ZC. (2012) "Potential role of 20S proteasome in maintaining stem cell integrity of human bone marrow stromal cells in prolonged culture expansion. "?Biochem Biophys Res Commun. 422: 121-7. 3.) Robin TP, Smith A, McKinsey E, Reaves L, Jedlicka P, Ford HL. (2012) "EWS/FLI1 regulates EYA3 in Ewing sarcoma via modulation of miRNA-708, resulting in increased cell survival and chemoresistance. "?Mol Cancer Res. 10: 1098-108.? 4.) Suh N, Paul S, Lee HJ, Yoon T, Shah N, Son AI, Reddi AH, Medici D, Sporn MB. (2012) "Synthetic triterpenoids, CDDO-Imidazolide and CDDO-Ethyl amide, induce chondrogenesis. "?Osteoarthritis Cartilage. 20: 446-50. 5.) Tan F, Naciri M, Dowling D, Al-Rubeai M. (2012) "In vitro and in vivo bioactivity of CoBlast hydroxyapatite coating and the effect of impaction on its osteoconductivity. "Biotechnol Adv. 30: 352-62. 6.) Dissanayaka WL, Zhu X, Zhang C, Jin L. (2011) "Characterization of dental pulp stem cells isolated from canine premolars. "?J Endod. 37: 1074-80. 7.) Liu S, Ginestier C, Ou SJ, Clouthier SG, Patel SH, Monville F, Korkaya H, Heath A, Dutcher J, Kleer CG, Jung Y, Dontu G, Taichman R, Wicha MS. (2011) "Breast cancer stem cells are regulated by mesenchymal stem cells through cytokine networks. "?Cancer Res. 71: 614-24. 8.) Liu Y, Xu X, Ma X, Martin-Rendon E, Watt S, Cui Z. (2010) "Cryopreservation of human bone marrow-derived mesenchymal stem cells with reduced dimethylsulfoxide and well-defined freezing solutions. "?Biotechnol Prog. 26: 1635-43. 9.) Chadipiralla K, Yochim JM, Bahuleyan B, Huang CY, Garcia-Godoy F, Murray PE, Stelnicki EJ. (2010) "Osteogenic differentiation of stem cells derived from human periodontal ligaments and pulp of human exfoliated deciduous teeth. "?Cell Tissue Res. 340: 323-33. 10.) Li GC, Ye QH, Xue YH, Sun HJ, Zhou HJ, Ren N, Jia HL, Shi J, Wu JC, Dai C, Dong QZ, Qin LX. (2010) "Human mesenchymal stem cells inhibit metastasis of a hepatocellular carcinoma model using the MHCC97-H cell line. "?Cancer Sci. 101: 2546-53. 11.) Li M, Jayandharan GR, Li B, Ling C, Ma W, Srivastava A, Zhong L. (2010) "High-efficiency transduction of fibroblasts and mesenchymal stem cells by tyrosine-mutant AAV2 vectors for their potential use in cellular therapy. "?Hum Gene Ther. 21: 1527-43. 12.) Medici D, Shore EM, Lounev VY, Kaplan FS, Kalluri R, Olsen BR. 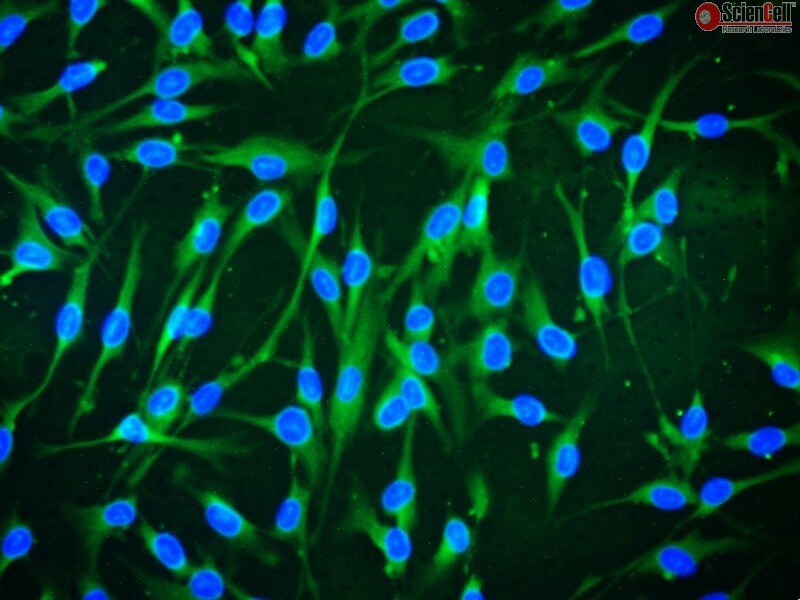 (2010) "Conversion of vascular endothelial cells into multipotent stem-like cells. "?Nat Med. 16: 1400-6.